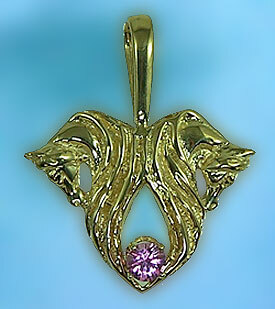 Give the gift that will keep on giving with this dual Arabian horse head pendant. 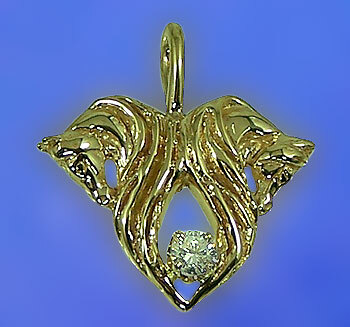 Double your fun with this creative Arabian horse head pendant set with a diamond. Creating a symbol for the love of your Arabian and keeping it close to your heart is what we had in mind. Dimensions: 1 inch wide x 3/4 inches tall. Set with .26 carat diamond, quality VS2, G color! Personalize this one today for your sweetheart! Use the comments box below and have our skilled jewelers set the stone of your choice today. Prices will vary depending on stone type and size. Also available in 14kt white gold or sterling silver.